Dial 2-1-1. 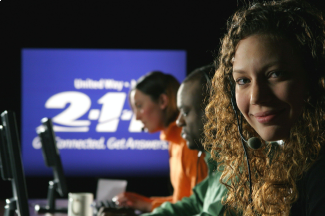 It's your friendly, community 24-hour professionally-staffed hotline for assistance with human service needs. 2-1-1 connects you to needed resources in the community, 24 hours a day / 7 days a week. Every call is answered by a certified Resource Navigator, who will assess your concerns and connect you with people, services and agencies who can help. All services are kept confidential and it is FREE. For more information, visit www.pa211sw.org. Powered by the United Way.